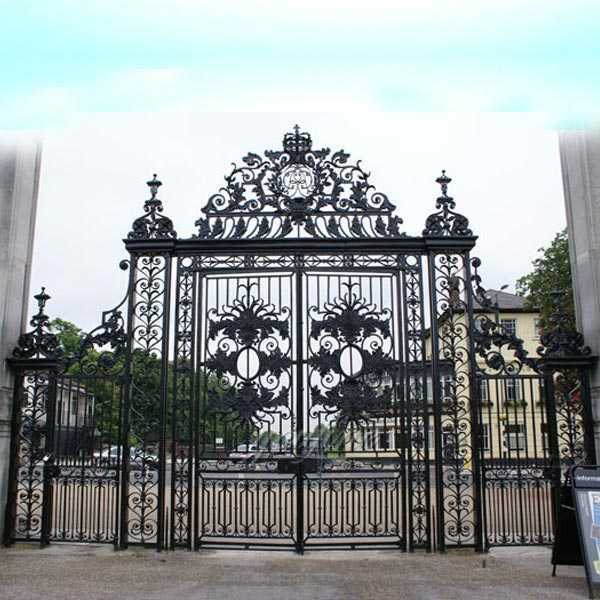 How much will the wrought iron gates cost? It can not be denied that decorative hardware can be a significant investment, whatever your budget. 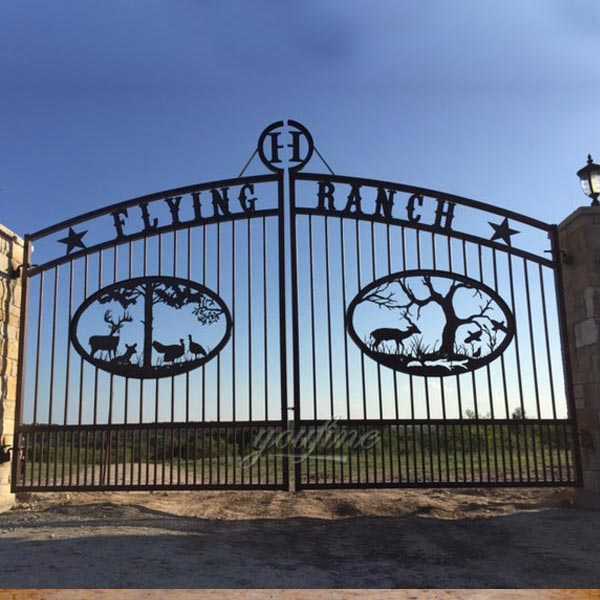 The general rule is that the doors and handrails that are of a custom design with a lot of handmade, elaborate elements will always be the most expensive option compared to a simple design using readily available components. Regardless of your budget, we can make the steel industry of the highest quality to suit your pocket and property. It’s worth considering the service and maintenance costs if you have your doors automated. A door system needs to be repaired annually to keep it running smoothly and reliably. We offer silver and gold warranty packages that are particularly useful to keep your doors running and protect you from unknown breakdown charges. Not only does the exterior smithy make your home look well cared for and safe, it also adds value and sale-ability to the property with added appeal from the curb, making it an elegant investment. 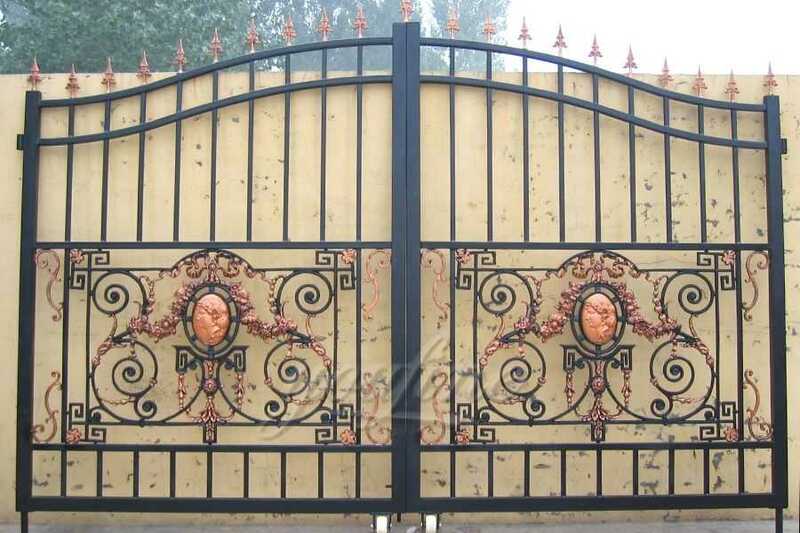 What type of electric wrought iron driveway estate gate kit will be installed? 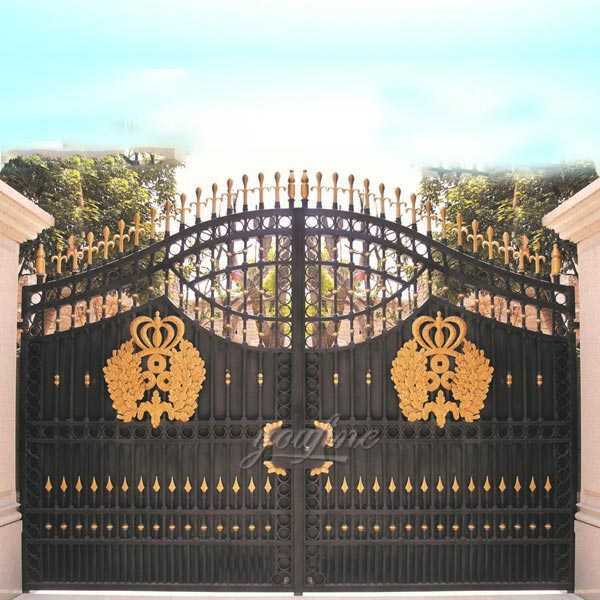 Commercial or Residential Entrance – Do you have a large Palisade Gate with heavy traffic or a regular iron gate that will open a couple of times a day? 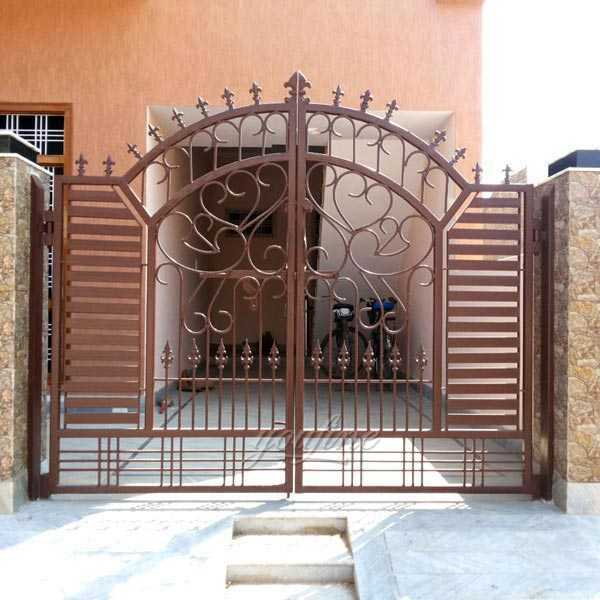 Width, weight and type of door – the size of the gate leaf and its weight must be within the operating guidelines of the equipment. Also, the closed pattern / solid doors will need something much more powerful than traditional iron doors. Frequency of work cycles required – are there many people who need access per day? Is it a private house with minimal traffic? Opening and closing speed – do you live on a busy road and need your doors to open quickly? Additional features – do you want to control your doors with your smartphone? Do you have additional remotes? Do you want your doors to open and close automatically at certain times? 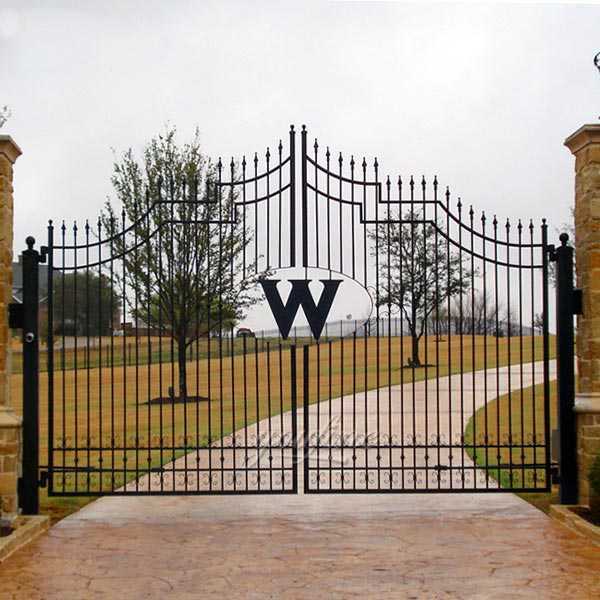 Where the wrought iron driveway estate gate is hinged – whether the hinges should be in the center or on the back of your posts or columns determines what kind of openers can be attached to your door. Additional considerations of the sliding door:Extreme site conditions – is your wrought iron driveway estate gate on a slope? Do you need a certain amount of land clearance? 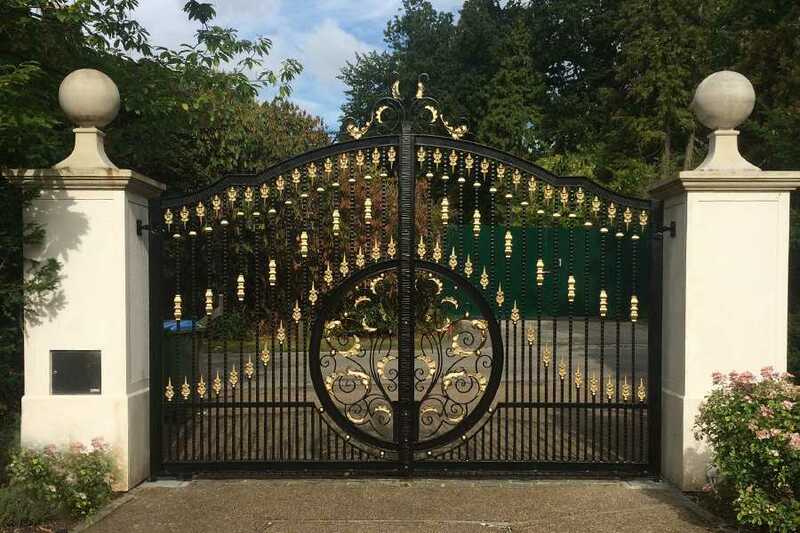 Be Free To Contact If You Want To Get More Information About Wrought Iron Driveway Estate Gate,Another Bespoke Iron Works Are Welcomed!